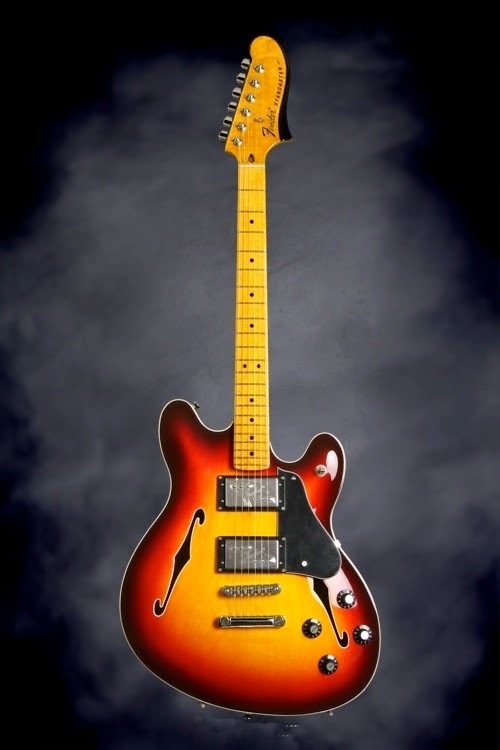 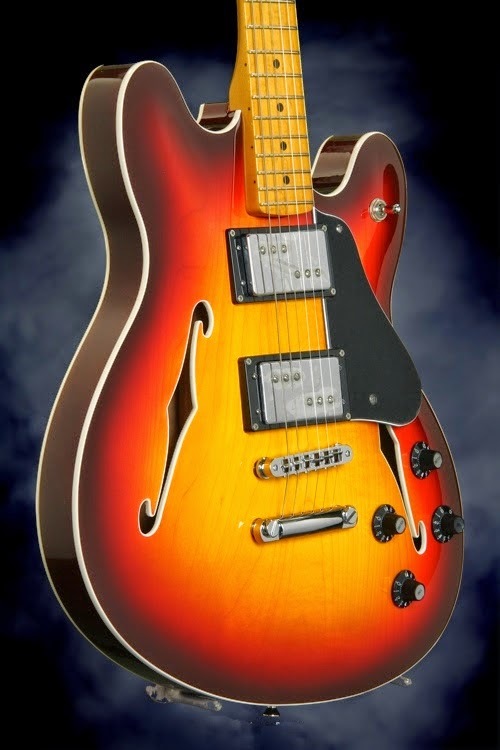 The Fender Starcaster guitar’s thin semi-hollow offset body has a bound maple top and back, with stylish bound f holes. 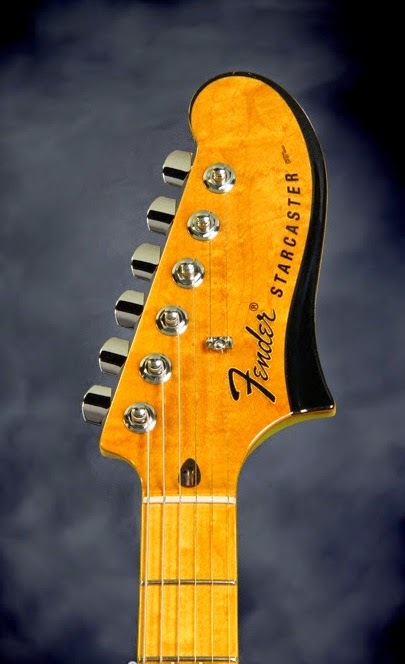 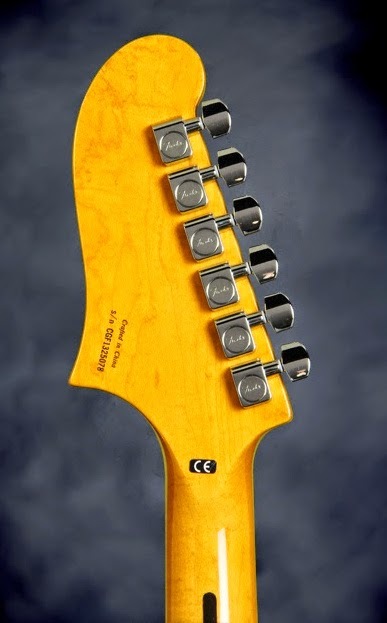 Its “C”-shaped maple neck has a 9.5”-radius maple fingerboard with 22 medium jumbo frets, black-dot inlays and the distinctively curvaceous Starcaster headstock. 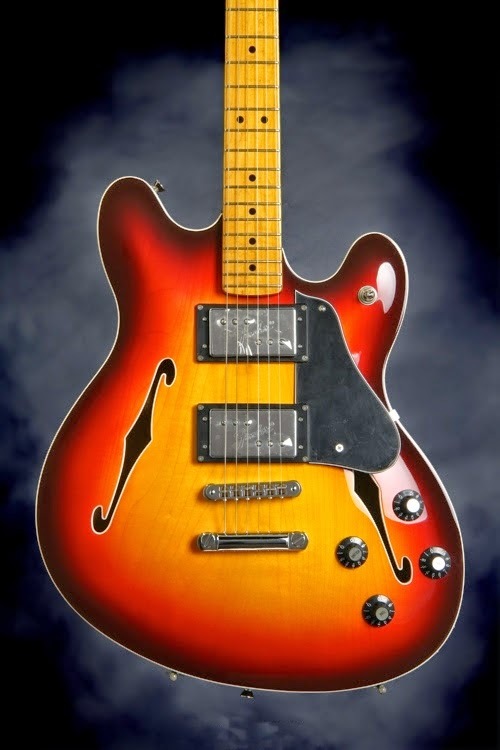 Other premium features include full-voiced dual Fender Wide Range humbucking pickups with three-way toggle switching, three-ply black pickguard, four skirted “amp”-style control knobs (volume and tone for each pickup) and an Adjusto-Matic™ bridge with anchored tailpiece. 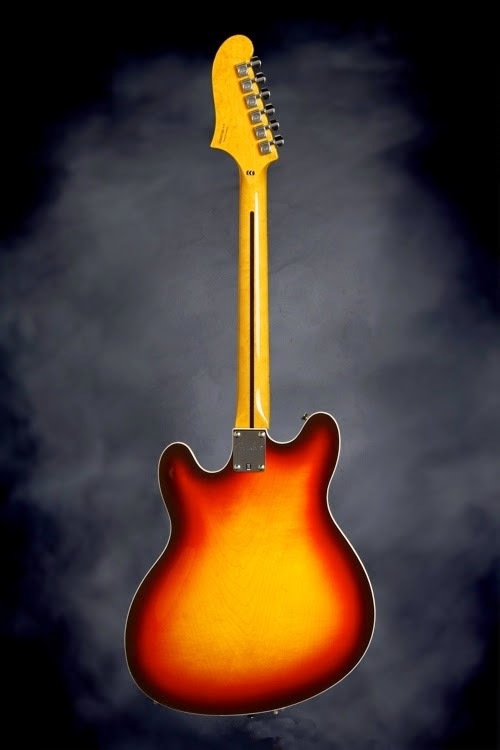 In Aged Cherry Burst gloss finishes.